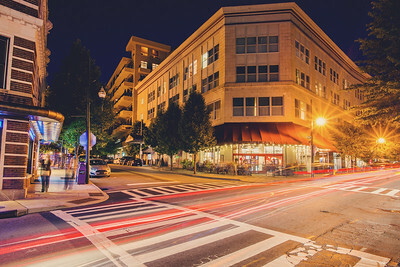 A gallery of photographic prints of Asheville, a vibrant enclave in the foothills of the Blue Ridge Mountains in North Carolina. Asheville was a real surprise - it is not a sleepy town in the Appalachian foothills, but a vibrant magnet for liberals, very much in the same vein as Austin. This is a long exposure taken in early evening. 2017.